Reporters working in Canadian newsrooms should receive diversity training just like police officers and health workers do says Duncan McCue, the newly appointed Rogers Visiting Journalist at the Ryerson School of Journalism (RSJ). McCue said the training is necessary because journalists who don’t understand indigenous cultures can cause harm while reporting on these communities. “The reason that police officers get cultural training is because if there’s a cultural misunderstanding in the middle of the street, someone could wind up getting shot. The reason why health workers get diversity training is because if someone is misunderstood … someone could die in an ER room over a cultural misunderstanding,” said McCue. McCue is Anishinaabe, a member of the Chippewas of Georgina Island First Nation in southern Ontario, an adjunct professor at the University of British Columbia (UBC) and the new host of CBC Radio One’s Cross Country Checkup. 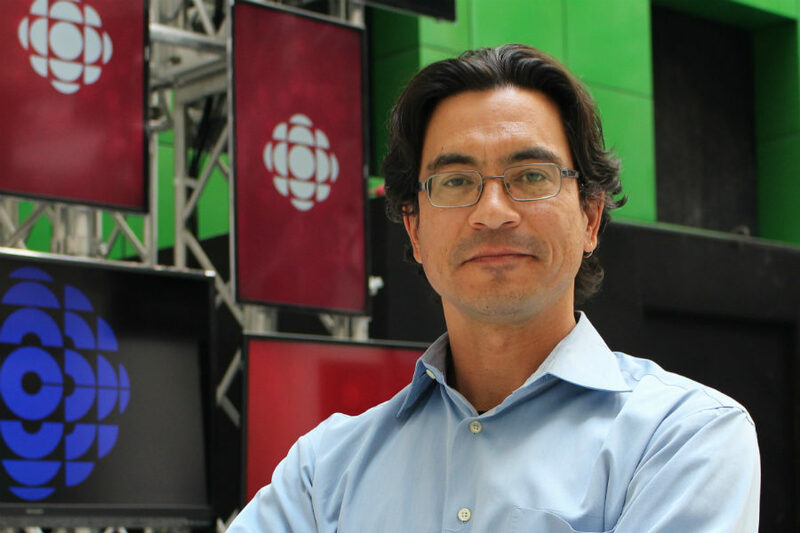 As a reporter for CBC’s The National, he was part of an award-winning CBC Aboriginal investigation into missing and murdered indigenous women and girls. In his capacity as the Rogers Visiting Journalist, McCue will work with Ryerson journalism instructors on developing new approaches for reporting on stories involving indigenous communities. He will also assist in the revision of the RSJ’s curriculum. McCue said that coverage of indigenous communities needs to go beyond stereotypical accounts of poverty and land claims. Although indigenous issues still aren’t being covered enough, the amount and quality of coverage has improved, he said, noting that news organizations and schools are responding to the Truth and Reconciliation Commission’s (TRC) recommendations. The TRC, a component of the Indian Residential Schools Settlement Agreement, investigated the removal of indigenous children from their homes in placement into residential schools in the 19th century. The country’s last residential school closed in 1996. In the Atkinson lecture she delivered last winter at the RSJ, TRC commissioner Marie Wilson said the commission’s mandates were to inform the public about the residential school system and to help its survivors heal and reconcile with the rest of Canadian society. As part of the process, the TRC issued 94 calls to action, including three that relate to journalism. It called upon the federal government to restore and increase funding to CBC/Radio-Canada so that the public broadcaster can do a better job of reflecting the diverse perspectives of Aboriginal peoples and for the Aboriginal Peoples Television Network to support reconciliation. It also called for Canadian journalism programs and media schools to require students to be educated on indigenous history. Ryerson’s journalism school is responding to the TRC’s call for action with a new online course designed to teach students about indigenous history and how to report accurately on stories involving indigenous communities. Reporting on Indigenous Issues, the online course taught by associate professor Joyce Smith, will be the first of its kind at the RSJ. It will be available for third-year and fourth-year students in January. McCue will be working with Smith to create the course. Smith said she wants students who take this course to walk away with a better understanding of indigenous history and more confidence in reporting on these issues. The school is also getting input from McCue on a new website that will be a resource for students who are covering indigenous communities. McCue said he hopes to introduce more hands-on experience with coverage of indigenous issues into the RSJ curriculum. He said that he is optimistic that reporting on indigenous issues will be better in the future than it has been in the past.